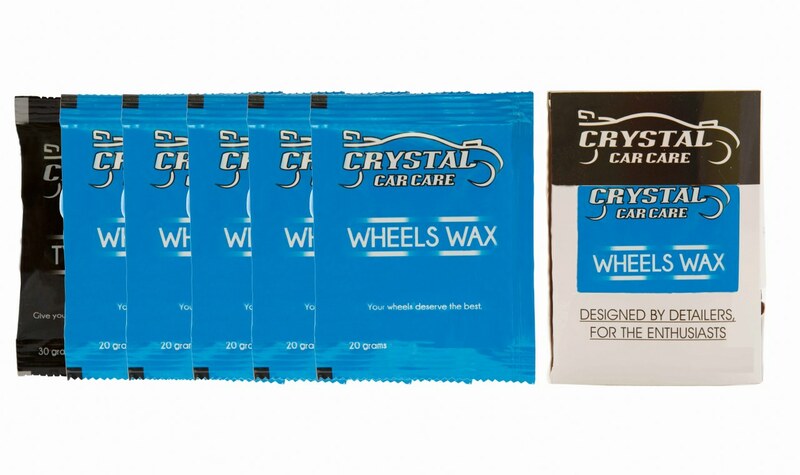 WHEELS WAX IS SPECIALLY DESIGNED TO KEEP YOUR WHEELS SHINY AND REPEL BRAKE DUST PARTICLES. 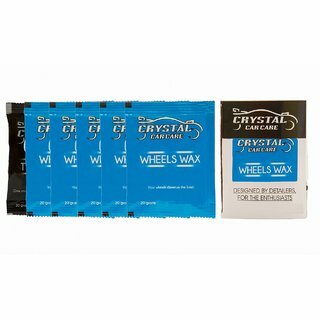 THE PROTECTIVE COATING ALSO MAKES CLEANING WHEELS EASIER NEXT TIME YOU WASH YOUR WHEELS. YOUR WHEELS DESERVE THE BEST. PACK CONTAINS 5 SACHETS OFWHEELS WAX AND 1 SACHET OF TYRE SHINER. APPLY WAX WITH AN APPLICATOR PAD, ONE WHEEL AT A TIME. BUFF LIGHTLY WITH A CLEAN, DRY POLISHING CLOTH. CLEAN THE WHEELS WITH CRYSTALS METAL POLISH AND THEN APPLY WHEELS WAX.